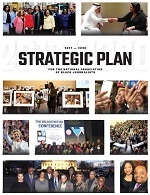 Click HERE to view the listing of companies attending NABJ 2012. Click HERE to access the online exhibit kit. To access the kit, enter the user name and password provided via email. Click HERE to view the floor plan. Availability is limited. EARLY BIRD RATE - SECURE YOUR SPACE TODAY AND SAVE! and/or product during the Career Fair. • One table, two chairs, booth sign, and one waste basket. • One complimentary convention registration for each 10' x 10' booth. • Fees for each additional booth personnel are listed on the Exhibit Booth Personnel Form. • Additional booth personnel have access to booth ONLY. pocket guide, and access to convention workshops. 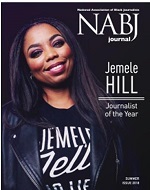 Exhibit questions should be directed to Veronique Dodson at (301) 405-0554 or email vdodson@nabj.org.